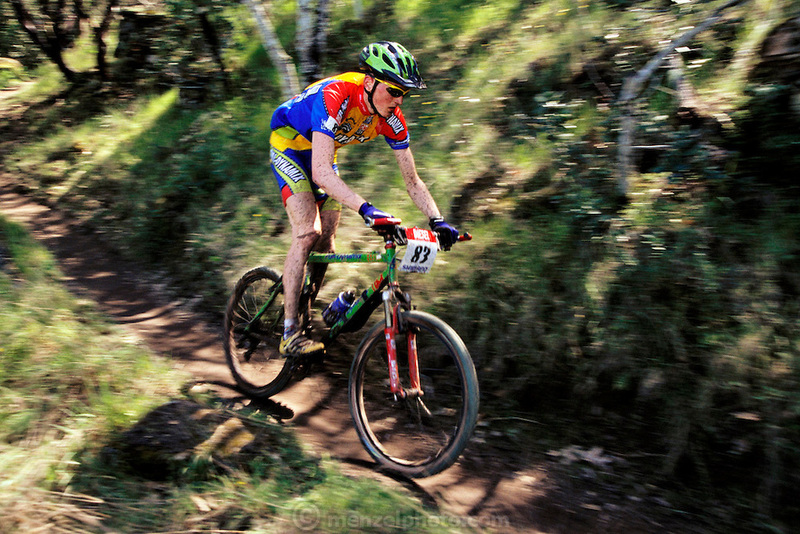 A racer in the World Cup mountain bike race at Skyline Park. Napa Valley, California. USA.